Who doesn't love to drink out of mason jars? I have had to talk myself out of replacing my glasses with them a few times, but when all of the little hands in my house grow up, watch out! For now they will just have to stay a fun way to serve drinks at a party. 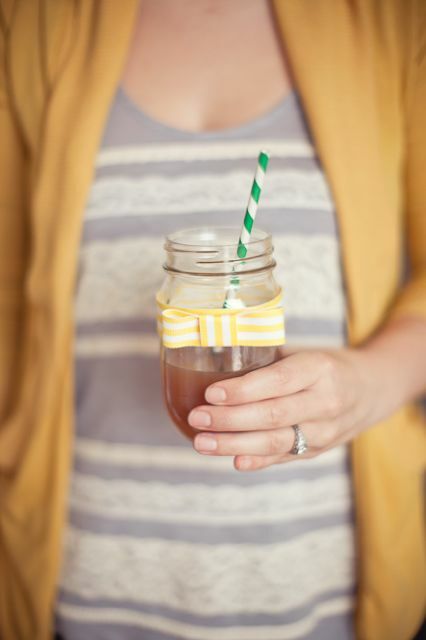 These mason jar bow ties are a great way to dress them up for the occasion too. These mason jar bow ties are part of a completely adorable little boys and bow ties party you can see over at My Sweet & Saucy.